The evolution of the “blog” is amazing. No longer do you have to write for a major newspaper or work for a national outlet to gain access to events. While beat writers are still considered the prime channel for news and stories, blogs have advanced enough to where they’re now a respectable source for news and insight. As a result, blogs are now now considered equals to those purist forms of journalism, also known as print. With this in mind, I was lucky enough to gain a media credential for NBA Summer League this year and represent WarriorsWorld and ESPN.com. This was my first time covering an official NBA event, my only other time having a credential being at the We Believe vs. Dubs game last year in San Jose. 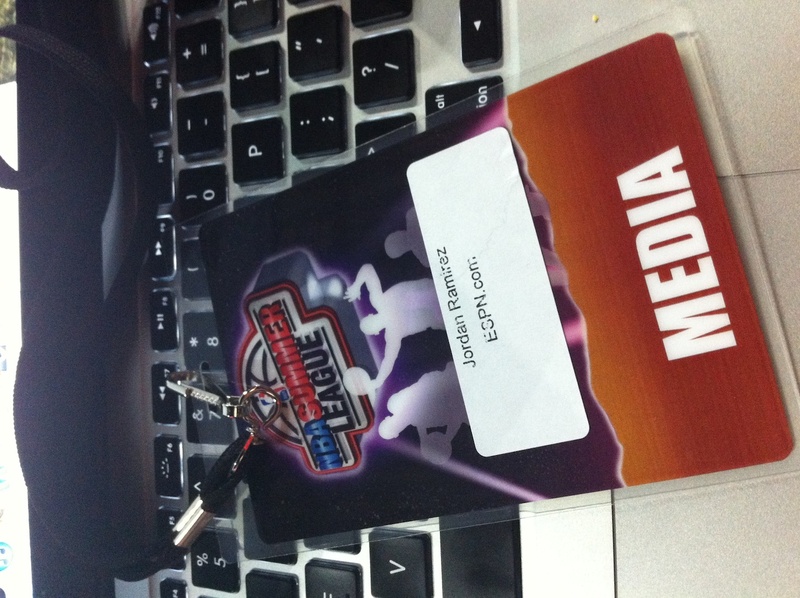 So let me get this straight, I was given the opportunity to cover the NBA…in Las Vegas…for WarriorsWorld. Not a bad way to spend a weekend. 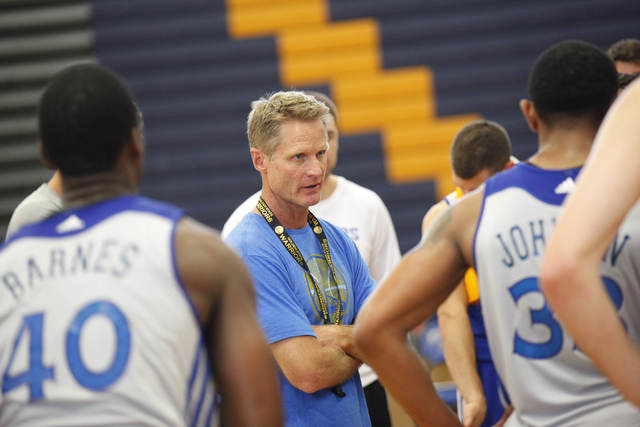 My Summer League experience began Saturday, as I arrived shortly after 2 PM for the Warriors 3 PM game. Special entrance, “ESPN.com” printed on the credential, media packets everywhere, a bunch of lonely men in front of their laptops; I was now living the life of a journalist. I quickly noticed I was the youngest one of the bunch, not necessarily a shocker, but still a cool title to have. It may not sound attractive or fascinating to some, but for an aspiring writer in the beginning stages of his potential career, this experience was unforgettable. As I walk into Cox Pavilion and head downstairs towards the media room, I was greeted by stacks of media guides for every team playing that day. The Warriors media guide – the largest guide, the only one spiral bound and the only one with color – were all gone. Lucky enough for me, VP of Public Relations for the Warriors Raymond Ridder was in the room and was able to find me a guide from his secret stash. In the next room over rest the food and drink. All were complimentary, but for good reason. Remember the cheeseburgers from the middle school cafeteria? The cheeseburgers in the media room were of identical look and taste, but in slider size. As for drinks, the standard water bottles and assorted sodas were available, although the cooler was practically water as the ice was all mostly melted. Some popcorn was there as well, but not in a machine, in a basket. 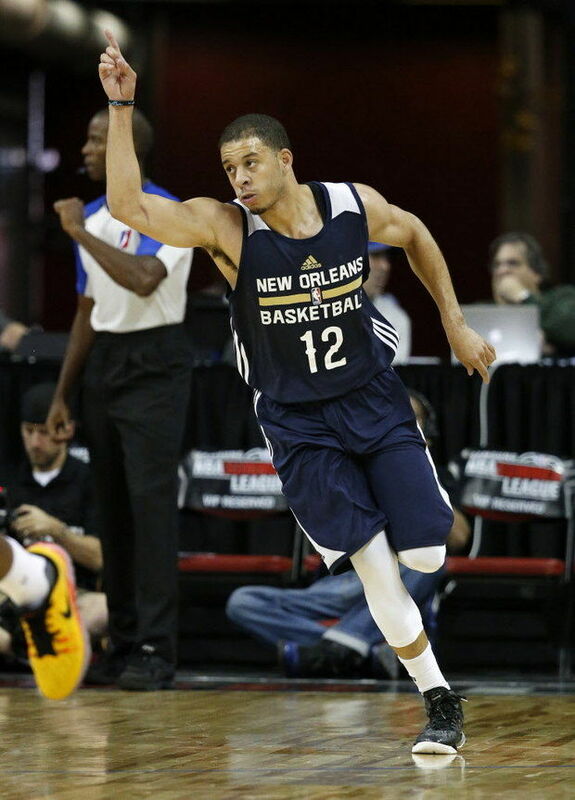 So in summary, the food at Summer League wasn’t anything to write home about, but I could really have cared less. 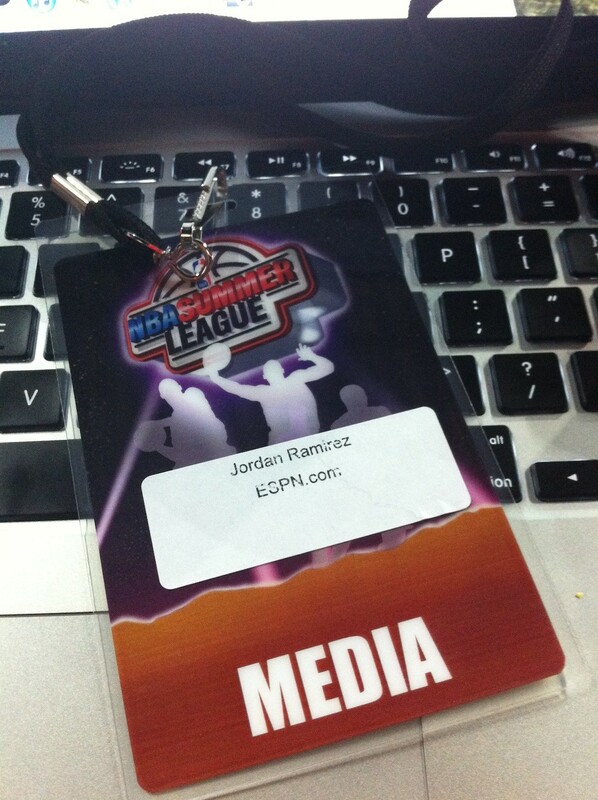 While this was my first time actually covering Summer League, this wasn’t my first visit there. I was lucky enough to attend Summer League in 2008 when then Warrior Anthony Morrow dropped 47 points on his way towards setting a Summer League record. If only Summer League were the NBA Finals. Up the elevator, through the concourse and into the gym I go. The media sections are on both baselines, and with the Warriors being the biggest draw in Summer League this year, both media section were filled 45 minutes before tip-off. It wasn’t until about 10 minutes before tip that I found a seat, due to some MEM-NY beat writers leaving. I found my seat, opened my laptop and proceeded to connect to the Cox Pavilion Wi-Fi. Much like my MLK Library experience at San Jose State, the connection was in and out, and it took a good 4-5 reconnects to finally get a stable connection. Seat found, laptop open, internet connection active, water bottle on my left and a bag of stale popcorn on my right. I was finally ready for this game. 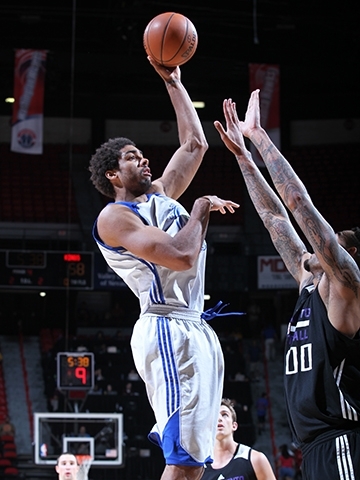 Festus Ezeli was the most impressive rookie on the court, while Jeremy Tyler looked as lost as ever. Draymond Green looks like an immediate contributor while Harrison Barnes has the offensive skills of a seasoned veteran (and knows it). Charles Jenkins continues to improve on both ends and Klay Thompson continued to show why Monta Ellis was expendable. I don’t agree with management often (how could I?) and I surely don’t sing the usual Warriors swan song (I’ve learned better), but I must say this: the Warriors young players are as impressive of a group as I’ve seen. Really. 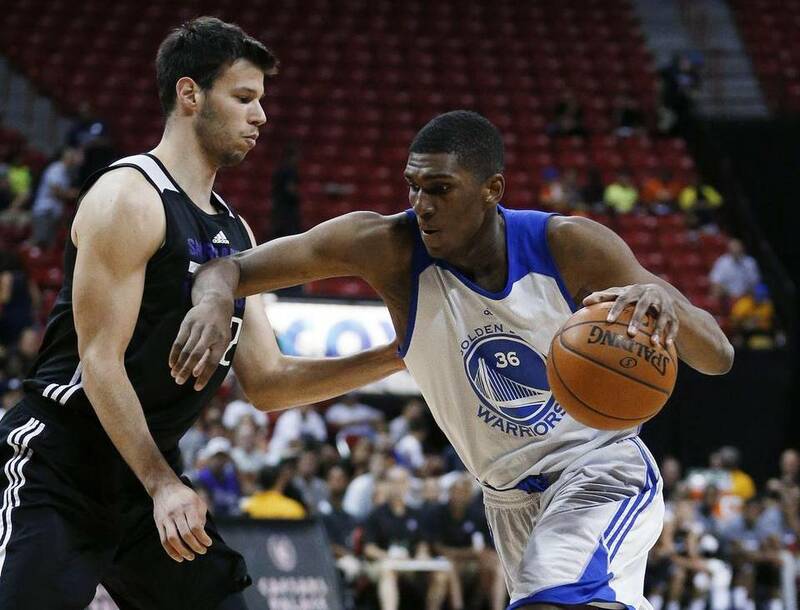 Expect immediate impact from all three of the Warriors first three picks. And yes, I’m ignoring Ogjen Kuzmic, who will never play a game in the NBA. As the game concluded, the Warriors headed to their “locker room” (a curtained off section to the side of the bleachers) and I moved from my post and waited for the go-ahead to head in for interviews. Every player and front office member I interviewed was gracious and respectful, the highlights: Festus showed great gratitude towards the Warriors, Draymond is funny and extremely driven, Harrison has a swagger to him, David Lee was professional and spoke the company line, Jerry West was extremely knowledgeable and engaged (teaching Barnes offensive moves in the locker room) and Bob Myers was personable and not afraid to give me a scoop (Klay likely finished with Summer League). The entire weekend was a memorable experience and hopefully just the first of many events I get to cover for WarriorsWorld. From first sitting down in press row to interviewing Jerry West to having to pay a bouncer $40 to bypass the underage excuse only to get dissed by a divorcé (I guess the “I’m 20, can you buy me a drink then I pay you back” line isn’t impressive enough); all the experience and knowledge I gained this past weekend was something I’ll never take for granted and I appreciate everyone that made it possible. New Interview with Andrew Bogut (@AndrewMBogut)…Talks Rehab, off-season, upcoming season, etc. I disagree here. Jordan sits in a dfeierfnt seat now. He sees how the other half lives. He also, as an owner, now sees there’s little value in paying somebody wack like Rashard Lewis $115 million dollars. The argument is there that the owners can’t control themselves but Jordan along with people like Me see that the system is broken. 50/50 is fair. Shorter contracts? Fair. Players now, basically the length of this now expired agreements are the beneficiary of guys like Jordan, Malone, Barkley. I have no issue tipping the scales the other way for the health of thethe game. He sees that too.